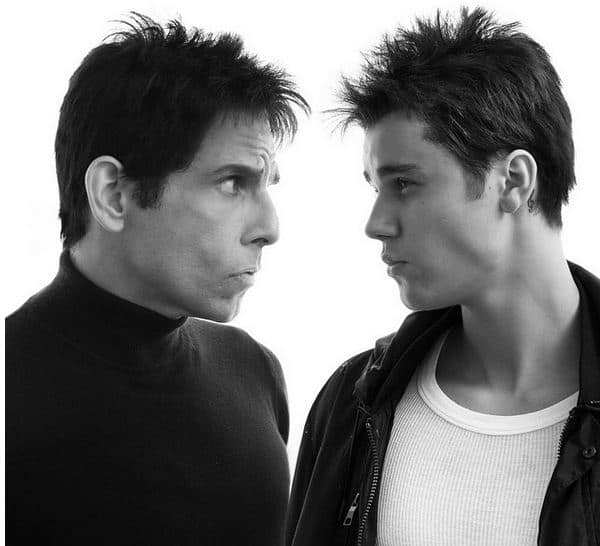 Ben Stiller and Justin Bieber on the set of Zoolander 2. The photo appeared on Stiller's Twitter page. Zoolander 2: Justice Bieber Does Blue Steel & Joins Cast!